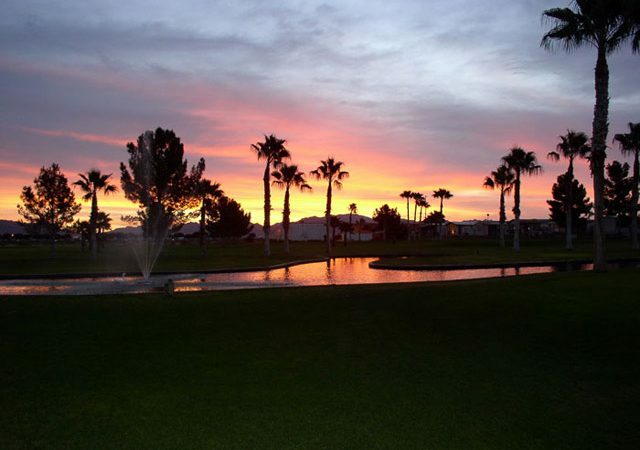 Located in the foothills of sunny Yuma, Arizona, between the rolling hills of San Diego and the hub of Phoenix and Scottsdale, sits Westwind RV & Golf Resort. One of the largest, most modern, and most affordable senior destinations in the country. Activities and amenities to suit any lifestyle await you at this Five Star resort. Westwind RV & Golf Resort was designed and built with you in mind. Your active lifestyle has been the pattern followed to provide a resort that caters to your needs. The many changes and upgrades recently completed will further enhance your desire to be a part of the Westwind RV & Golf Resort community. Whether it is for a few days, and few months, or a lifetime, Westwind is home for adults 55 and better. Westwind RV & Golf Resort is the top snowbird destination RV Park in Arizona. With a 9 hole par 3 golf course along with a full service bar and restaurant Westwind is more than a resort, it’s a lifestyle worth living. If playing golf is not enough, a plethora of amenities and activities guaranteed to stimulate the mind, exercise the body, and raise your spirits high await you! Westwind RV Resort is truly distinguished by its opulent surroundings and many conveniences. However, it is the warmth and camaraderie of the guests and residents that best characterize our amazing RV and Golf resort. Westwind is the ideal vacation resort community for winter visitors. Choose from our full hook-up sites with daily, weekly, monthly and annual RV site rentals. We also offer park model rentals and sales. Our activity building is filled with fun games and our ballroom features live bands and weekly dances. We also have an on-site golf pro-shop for all your golfing needs. Our RV resort is seasonal but we do offer year round golf and summer rates for our traveling guests so you can come and enjoy Westwind anytime throughout the year. We look forward to sharing our beautiful resort with you and your friends. 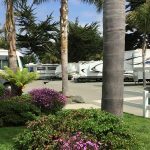 Westwind RV & Golf Resort offers its guests the very best that adult RV resort life has to offer. Whether it is inspiration or relaxation that you seek, Westwind has what you’re looking for. Simply relax and spoil yourself in our luxurious comforts, or endeavor upon any one of the many activities that Westwind and its surrounding area have to offer. Landscaped sites, first class facilities, a consistently pleasing climate, and a warm and friendly hospitality make them the clear choice for your premiere RV resort destination. Click here to explore all Westwind RV & Golf Resort has to offer.